Learn more about the top three unexpected things you need to know to protect your medical identity. The following guest post covering the impact of medical ID theft was submitted by Michael Rogers. Did you know that healthcare organizations admit that they don’t have enough security to withstand many cyberattacks? Data breaches to healthcare organizations are at a loss of millions and are under constant attack by malware. What does this mean for you? It means that your medical data is vulnerable, and when an online thief gets ahold of your Social Security number and other medical ID information — including passwords to your healthcare accounts — then you could begin to see not only your healthcare savings account empty out for procedures and products you didn’t authorize, but you also may see your bank account empty out. That’s because many of us use the same passwords over and over again. So don’t be surprised if someone steals your medical ID information and then uses that information to break into your bank and credit card accounts. Change your passwords regularly and encrypt your online sessions to protect yourself. Many of us have healthcare savings accounts. They are a great way to get tax-free cash into an account and to use that cash for doctor’s visits, surgeries, procedures and even products like HIV-testing kits and pharmaceuticals. When someone steals your medical ID information, however, that means they can get access to this account. They can then go online and begin purchasing items that qualify for the account. They also can begin the process of filing insurance claims for fraudulent surgeries and procedures. When you become the victim of medical ID theft, you may find that your insurance benefits are no longer available to you when you need them. In most of the cases ID theft victims start to panic and do not know where to start from. 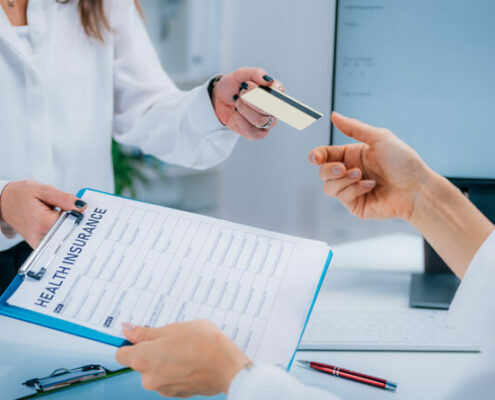 If you have any doubts, are any reasons to suspect being ID theft victim you should immediately contact either your local insurance provider or healthcare organization in order to minimize possible losses. Many victims don’t realize this until something happens — like they are rushed to the hospital — and they find their insurance has been denied. Online thieves will steal your information so that they can get the procedures they need in your name. This kind of fraud can take years to unravel — coming at a huge out-of-pocket expense to you. When you need to go to the hospital, you need to go. You can’t wait. And if you’re the victim of fraud, you’ll likely be paying tens of thousands of dollars of that you don’t have because your insurance has been denied. Sometimes knowing how you could be vulnerable to a medical ID attack is the first step. When your online presence is threatened and someone steals your social security number or insurance premium information, then not only are you at a big financial risk for procedures and bills you shouldn’t have to pay for — but those breaches could lead to breaches in other areas of your finances, such as your bank account. As you move forward, remember to monitor your medical ID information and medical online activity regularly. The more you know about what is happening in your medical or insurance accounts online, the more quickly you will be able to see when something isn’t quite right. In addition, remember to change your passwords regularly, and don’t use the same passwords for multiple accounts. 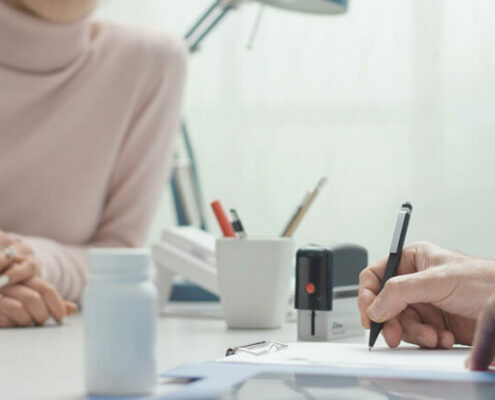 With an estimated 2.3 million Americans falling victim to medical ID theft in 2014, it’s possible that you also could experience this situation. So stay ahead of the game and protect your pocket with these three key tips. 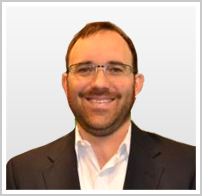 Michael Rogers- is experienced Director of Operations, manager and educator from USInsuranceAgents.com. Michael is not only well-educated insurance professional, but also very interesting interlocutor, with deep knowledge of modern arts and sports. 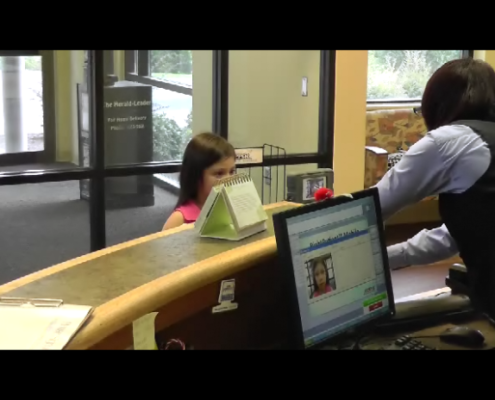 A patient access representative takes a photo of a child using an iris recognition camera to protect her medical identity. The rapid spread of using biometric patient ID solutions has helped to increase safety, reduce duplicate medical records, eliminate healthcare fraud, and strengthen patient data integrity. 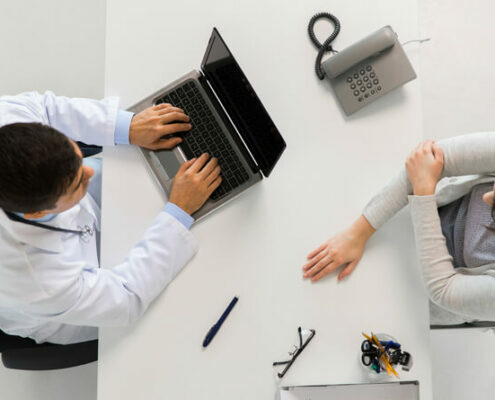 As most healthcare providers who implement biometrics for patient ID quickly realize – patient participation is the most important factor to ensure deployment success and realize the strongest return on investment. Traditionally, we see the use of biometrics as a strong security solution to protect our own medical identities, but what about children? 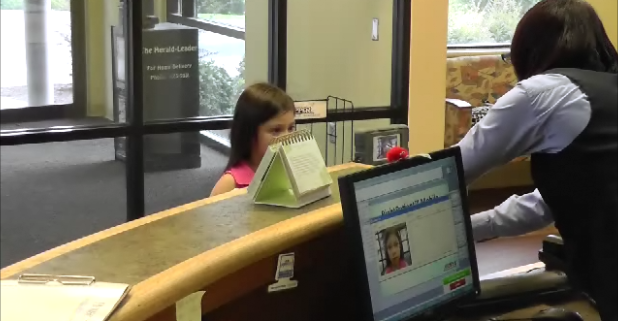 Are they eligible to enroll in a biometric patient ID platform and realize the same protection as adults? The short answer is: It depends on the biometric patient identification solution that you select. “Protecting a child’s medical identity is definitely a growing concern in healthcare. And, it isn’t only protecting their medical identity but their identity as a whole. People generally do not believe that (medical ID theft) is a crime that affects children, but I can tell you that we (Identity Theft Resource Center) handle and re mediate cases of child ID theft on a daily basis. It’s really about ensuring that a child’s personal information doesn’t make it into the hands of a thief. 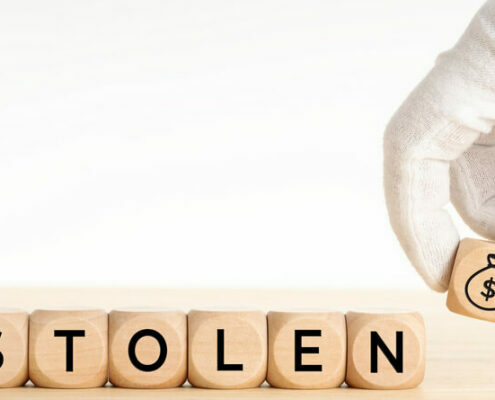 The crux of the problem with child medical ID theft is the time of discovery…the most common ways that people find out they are victims of ID theft is because they are trying to accomplish something and they hit a barrier. Clearly, there is a sense of urgency to ensure a child’s medical identity is protected from the moment they are born! 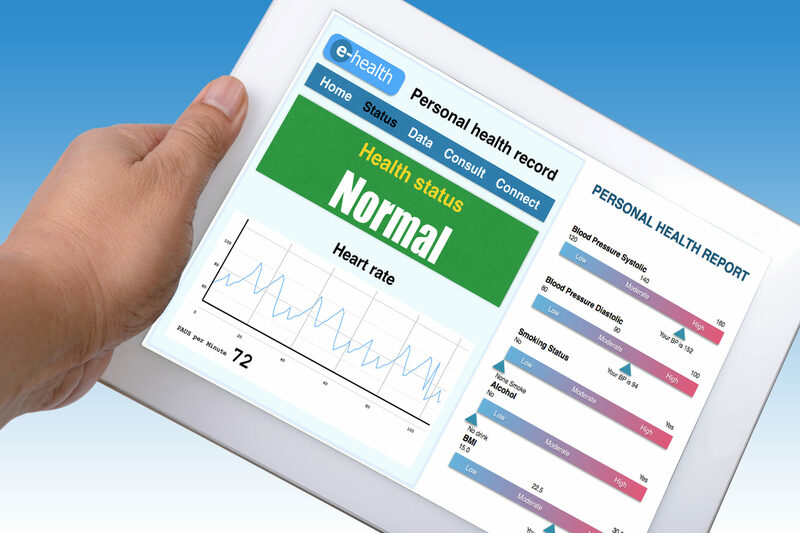 The problem that some healthcare providers face who have implemented certain biometric hardware modalities for patient ID is that not all are eligible for children to enroll. Instead, some biometric patient ID solution providers recommend that a child not enroll until they reach a certain age, or until certain physiological attributes are mature enough to be recognized by a hardware device. This essentially excludes children from leveraging the identity protection and security advantages of using biometric patient ID for identification at the age where they may perhaps be most vulnerable to having their identities stolen. The key for any healthcare provider seeking to implement biometrics for patient ID is to deploy a solution that has the ability to capture a child’s unique biometric profile at the youngest age possible and then use that as their identity credential for the rest of their lives without the inconvenience of re-enrolling as a child matures or the security risks of not being eligible to enroll at all. Protecting a child’s medical identity is among the many reasons that we recommend the use of photo biometrics for patient identification in healthcare. Children as young as 10 months old can enroll and since the iris is a human physiological attribute that forms at 10 months of age and remains static throughout our lifetimes, it represents a viable and stable credential for accurate identification. As more healthcare organizations around the world evaluate the use of biometrics for patient identification, it is critical that all possible patient options and scenarios are addressed to maximize return on investment and ensure that any patient, no matter how young or old, can take advantage of the benefits to protect their medical identities. 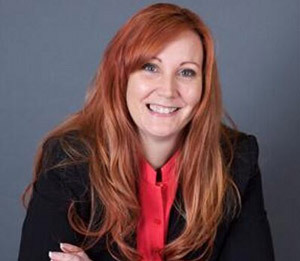 For a full version of our podcast with Eva Velasquez, President and CEO of The Identity Theft Resource Center, click here. http://www.rightpatient.com/wp-content/uploads/2016/07/Snapshot-1-1-22-2013-3-00-PM-1.png 464 618 John Trader http://www.rightpatient.com/wp-content/uploads/2019/02/RightPatient-Biometric-Patient-Identification-Data-Integrity-Platform-kernello-health.png John Trader2016-07-07 15:45:012016-11-01 08:02:38Are Children Eligible to Enroll in Biometric Patient ID Solutions? Follow these simple tips to prevent the dangers of medical identity theft from jeopardizing your patient safety. The following guest post was submitted by Ryan Moalemi. In this day and age, people get increasingly restless if they don’t get their daily ‘fix’ of substances. The main cause for medical identity theft is trying to get drugs which you otherwise can’t get. Drug users who are addicted to certain drugs need a special pass if they want to get those drugs. If you don’t have this pass, you cannot buy the drug. Medical Identity Theft – What is it? Medical identity theft isn’t much different than regular identity theft. However, the purpose here is to buy drugs, get health care at your expense, etc. Anything related to the medical field is a reason for people to steal your identity if they can’t get what they want. Most countries don’t have pictures of patients on their medical cards which is why it can be pretty easy for people to steal your identity. Of course, there are countries where are the details are listed and available to the medical staff to prevent theft and make it easier for them to go through your details. If you want to avoid having your identity stolen, you will need to know how to protect your personal information. The first step is to keep as much information about yourself to yourself except in cases where it’s necessary to share. Don’t let too many people know all of your personal information. You can also check out some Identity Theft Protection to get even more protection. There are various measures you can take to do this, but the best thing is not to share too much. The most common fraud schemes involve offers which you should take instantly because it’s excellent. If you don’t take the offer, you will regret it because it won’t be good anymore. Don’t fall for these tricks no matter how good they sound. That’s exactly it – they sound too good to be true. Also, if you happen to run into a fraud scheme or an offer, be sure to check out all the information regarding the company or people issuing the offer. You want to find legitimate information. If your research comes to fruition and you find out everything is legit – the offer is legit as well. Otherwise, stay far away from that offer and turn it down. While there are some methods of detection which can cost you money, the most common one is simply by constantly checking your purchase history. Visit the hospital where you get your medication and ask them if there were any purchases on your account. You don’t need to do this all the time – do it only when you suspect that someone might have stolen your identity. Also, always keep receipts with you and keep track of your purchase history. The correct way to react to medical identity theft incidents is to report everything to anyone that might help you out. This involves the hospital you visit, police, etc. Also, if you already ran into problems with identity theft, it is the prime time you start keeping your private information protected. Any possible holes that you might have left out could potentially lead to additional medical identity theft. Keep copies of your medical bills, medical records and everything. This way, you’re minimizing the chances of it happening again. Medical identity theft can lead to many problems if not handled. Things tend to get complicated as more time goes by so it’s best to resolve the issue immediately upon noticing that something isn’t right. Be careful of who you give your personal information to, and stay away from shady offers! Eva Velasquez, President and CEO of The Identity Theft Resource Center joined us for our latest podcast centered on the topic of medical identity theft. Identity theft is a term used to describe all types of crime in which someone illegally obtains and uses another person’s personal data in a way that involves fraud or deception, usually for some sort of economic gain (U.S. Depar It is a devastating, horrible crime resulting in huge financial losses and often irreparable reputation damage for the victim. 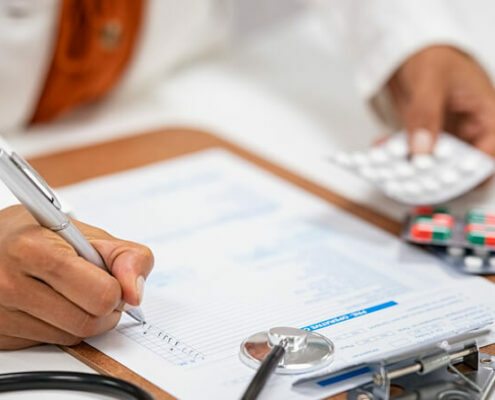 Medical identity theft is defined as the act of stealing another person’s insurance information or name in order to illegally obtain medical services, prescriptions, and file claims with an insurance provider. It is a devastating crime that could have serious repercussions for both a patient and a medical provider. Before moving on from this post with the “it will never happen to me” philosophy, you may want to invest time to educate yourself on the effect medical identity theft could have on you or your loved ones, including your children. Were you aware that identity theft affects approximately 15 million people in the U.S. per year? Did you know that thieves can steal your child’s social security number BEFORE they are even born to commit medical identity theft? (Wait, what?) Have you heard that more hospitals and medical centers in the U.S. are investing in biometric patient identification solutions to prevent medical identity theft at the point of service? We had the pleasure of catching up with Eva Velasquez, CEO of The Identity Theft Resource Center about the perils of identity theft and dug into more detail about the horrors of medical identity theft during our discussion. What you will discover after listening to our brand new podcast is that identity theft can be prevented and there are a lot of resources available to consumers to assist them if they have been victimized. Download a copy of the podcast here and listen to it on your commute, or wherever may be convenient. Have an idea for a podcast that centers on the topic of patient safety, patient identification, revenue cycle management, or infection control in healthcare? Drop us a note at: info@rightpatient.com with your idea and a suggested guest! We hope you enjoy this podcast and walk away a little smarter about identity theft. Many thanks to Eva Velasquez and her staff for their time and expertise!